A very lengthy explanation for a very simple & effective event! 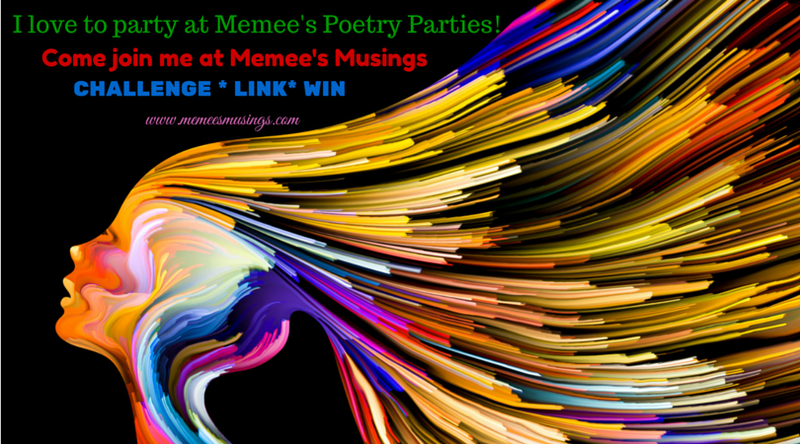 #MemeesPoetryParties are a once monthly challenge linky party event. Each month has a unique theme and hashtag. I keep the themes simple so everyone of all ages and languages can try to participate. All parties begin approximately mid-month and last about 15-days, give or take. Thank you for partying with Memee! Invite your followers to enjoy the fun by displaying this participation badge proudly on your site. As with any party there are rules of etiquette that must be followed. If you cannot follow the rules you may find yourself kicked to the curb to make room for better-behaved guests 🙂 But no harm done, just because you’re out for one party doesn’t mean you cannot come back for another! Joining the party is easier than every before. When I post the new party theme it will be displayed in the “current party” tab at the top of every page. Let your cursor finger find the way, click, and with the snap of a finger you’ll have all the information you need at the tips of your fingers! 2. Submit the URL address to your relevant poem (shortlinks are blocked by the host system). 4. Let your followers know that you’re partying at Memee’s Musings and they’re invited to drop in and join the party! (Give them this link: https://memeesmusings.com/category/current-party/) Link back to me and, of course, if: You tweet me, I’ll tweet you… tweet, tweet! 5. Even if you don’t have a twitter account please use the unique hashtag for the party you’re linking to as a blog tag. I explain why later. So those were the rules, pretty simple, right? Now you can either continue reading to get more information or, if the timing is right, head straight to the party with your post. Why do I want you to visit with other party guests? Because blogging is about community and parties are about making new friends and getting to know your neighbors. An event like this will, in time, help all of us build our individual blog communities, lead to new friendships and, of course, provide additional emotional encouragement, support, and bigger numbers. It is a win-win all the way around. What’s with the hashtags? Well, being a freshman blogger at Blogging U we were told to learn about a new platform. I chose Twitter because it is such a foreign concept and yet seems to have immersed itself throughout our culture… I mean, you cannot even watch television anymore without some sort of hashtag or real-time comment popping up! So I have one hashtag for all of my poetry parties, it is #memeespoetryparties. I encourage you to use it as a tag for all of your poetry party submissions. It’s kinda like sending out a party invitation… a means of letting people know what we’re doing and where the party’s located. And, with one main hashtag for all the parties it’ll work as a tool to find each other in our WP Readers so we can support one another’s growth and accomplishments and it’ll also work as a powerful tool for witnessing your own growth and keeping these submissions organized… who knows maybe you’ll publish a book of poetry some day! Now, I did say that each month a new party will be held and receive its own unique hashtag. Use this hashtag on your respective social media sites and to tag your submission entries so that other poets and bloggers can join the party while it is in full swing. Also, I will know exactly which party you attended, which is especially important when it comes to door prizes and online recognition! By agreeing to participate in one of Memee’s Poetry Parties you are granting permission for me to add you to an email list that is seen only by Memee and used exclusively to remind you of future poetry parties. (There will only be one email a month — unless you win, then you’ll receive two that month — so watch your email!) You can unsubscribe from the mailing list after the party if you do not want to participate in the future. However, to submit a poem you are required to provide your email address. It’s not me, it’s the hosting site. Do you have to have a twitter account to participate? Absolutely not. I do ask that you still put in the hashtag #memeespoetryparties. Put it in the comments, or in an introduction or wherever and as often as you like. We are trying to build community and to do that people have to be able to recognize us, wherever they’re coming from! The more you advertise #memeespoetryparties the faster it can grow, benefiting us all. And don’t forget to use the #uniquepartytag as a tag for your blog post. What do you get for participating? Well, um, first off I am hoping you’ll enjoy the camaraderie of connecting with your fellow bloggers and poets (aspiring or otherwise). You will find inspiration, discover something new, receive encouragement, gain followers and make friends. And lastly, yes, there are door prizes. Right now, they’re unique badges for your trophy cabinets. When we reach an ongoing participation of 100 or more links your awards will also include tangibles… I’m super excited about that and hope you will be too. So spread the word: If you want to link-up with other poets join #memeespoetryparties each month! I have been interested in writing poetry my entire life but it wasn’t until I began this blogging event that I have found growth and personal satisfaction in my attempts. So yes, I too will be challenging myself by participating in the parties. However, as hostess, I am not qualified for door prizes. I also will not be voting. I will read all submissions, comment on some, follow, tweet and enjoy discovering each of you through your poetry! I saw a badge for this on someone’s blog. How do I get one? There is a beautiful participation badge I created and posted above. 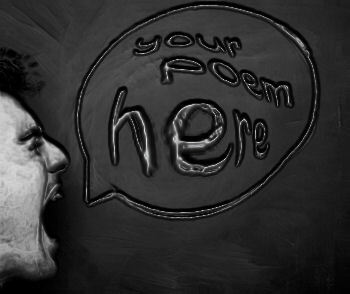 When you submit a poem, you qualify to display the badge on your site, in posts, on social media, wherever you like. Feel free to resize it, but please don’t change it in any other way, we want it recognizeable! I have seen it displayed in posts, in sidebars, footers, and on About pages and Award/Trophy pages. Some participants have it displayed and also use it in social media posts to spread the word around. When you first arrive at the event page, you will see the rules, however, if you page down you will see thumbnails that will link to the party-goers poetic entry on their own blog — see, traffic! — Okay, so this is still a brand new event so our numbers are still low, as the party continues more and more people will join the party, which is why I ask that everyone mingle with at least two people as well as utilizing the participation badge. But what about the prizes? Yes, I’m getting to it…. When you click on a thumbnail and visit with another party guest my event page will place a green check on that thumbnail. That checkmark is just a way for you to know what you have read and what you’ve missed. The event does last more than a week, however, there are windows for submission and windows for voting. Be sure and get your link up right away so you don’t miss the party! When the voting window opens* and you believe you are ready to place your vote, simply click on the heart you see on their thumbnail and you will have placed your vote. Remember, only the first vote counts in the totals and the voting tallies are blind even to me. There is a countdown clock to voting and party ends in the lower left-hand corner of the punch bowl. When that clock winds down to 00:00:00:00 the doors are locked and the windows sealed, even a secret code won’t allow new poets to the mic. The days following are for reading, commenting, and voting only. Are the poets the only ones allowed to vote? No. You can ask your followers, family, friends, whoever to go vote. But please be fair to the other poets and do not offer incentives for voting. If someone likes or comments on your poem, tell them about the party and encourage them to head to the party and vote for their favorite and/or challenge them to participate (bloggers love a challenge!) Please encourage them to read other submissions and vote on their favorite only. Late arrivals and new bloggers should have as much opportunity to get noticed and win as the more veteran bloggers, so be a good neighbor. Also, be sure that they understand that the voting does not take place on your blog. How do my followers vote for me? Give them the link to the party posting that explains how to get to the party or supply them with the URL for the current party (https://memeesmusings.com/category/current-party/) during the voting window. Be sure they know when voting ends. When they’ve finished reading the poems all they have to do is click on the thumbnail’s heart and their vote is cast! Winners will be notified by email and recognized publicly on my social media sites. Hope to see you around the punch bowl! Memee, I have one last question. What’s the punch bowl? Great question! The punch bowl is where everyone meets and mingles at a party, so at Memee’s Poetry Parties the punch bowl is where you post your links and where votes are cast. Every month a new link is created which sends you to the party punch bowl. This link will be displayed on all posts about the party as well as in the email invitation that you receive. Need video directions to walk your way through entering your submission? Then please watch: this YouTube video. Don’t fear, I will send people to it after the completed announcement. And, there’s always another month! Voting closed on the 17th for submissions. Voting ends tonight, the 20th. I don’t have control over the technical aspects. This has been a learning curve for me as well. No worries! 🙂 Thanks Memee! 🙂 will read the other poems. Wanted to let you know that August’s poetry party is now accepting submissions. Here’s the link: http://wp.me/p5hvQo-z8 (and remember, I am in America so our dates are a little off from one another). I like the concept and may join you next month. I love poetry. We would LOVE to have you join. 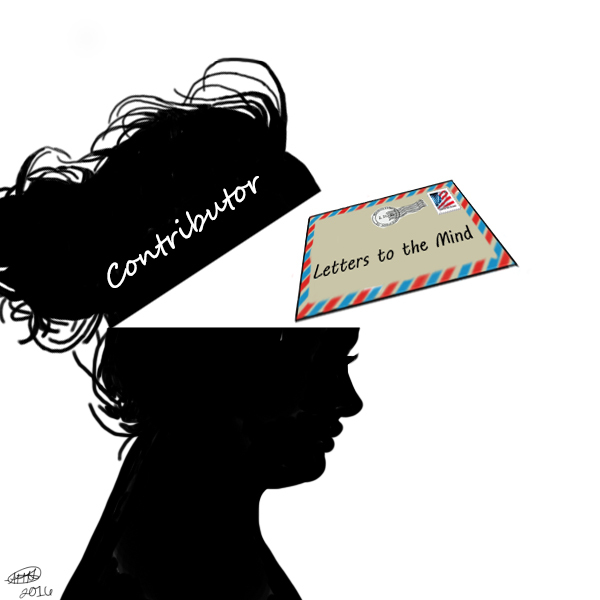 There is still time this month to submit and participate. Who knows what next month’s theme will be? Thank you for your support and encouragement. I hope to meet you at the punch bowl ! I am eager to see your take on it! I’d LOVE to join your parties, but for whatever random reason the ‘follow’ link won’t accept my email address. I’ll continue to try and will check back to see when the next party is opened. I’m bummed I missed the summer one! The topic is Vengeance… I hope you can make it this month. I have created a new drop down category under Memee’s Poetry Parties which will only display active parties. I thought that would be an easier way for people to find and get to the link. Good luck, please let me know! September’s challenge, as I am sure you will soon see, has been posted. Wait until Tuesday and then see if the submit button will work for you. If not, let me know. Some days the links seem to work better than others, I am not sure why! Hi Memee, I’ve got my poem ready for this month’s challenge. Should I post it on my blog before voting starts or am I suppose to post it during voting period? You should post it now. The link for people to go to your website will not work if your post is not on your website. Once you have it posted on your website you can add it to the party by following the link listed under Current Party Tab of my page. FYI: I haven’t seen your link-up yet. Hi Memee, I got the link up! I am so excited you found us! It is too late for submitting the Vengence poem unfortunately. I would love to read it and pass the link on to others to read though. I can send you a reminder in September for that poetry party if you’d like to try again. We’d love to have you sip from the punchbowl! Hi! Oh, that’s a shame – if you’d like to pass on the link that’d be wonderful. How do I sign up to reminders? email me at memeethemuse@gmail.com and I will put you on a private list. Oh my I’m way over submission date~ am I still eligible to submit for September’s entry? No. The system is locked for voting. Go in and read them, vote for your favorite. Then join us next month. I try to send out emails to all past participants with the relevant dates and theme a day or two before the party begins. I know you’re disappointed that you didn’t make the deadline this month. Unfortunately for the voting process to function the submission window has to close. I am sorry that the participants may miss seeing your poem on suicide. I hope you will post it on your sight and mention back in this thread so I can read it and perhaps others may find it as well!